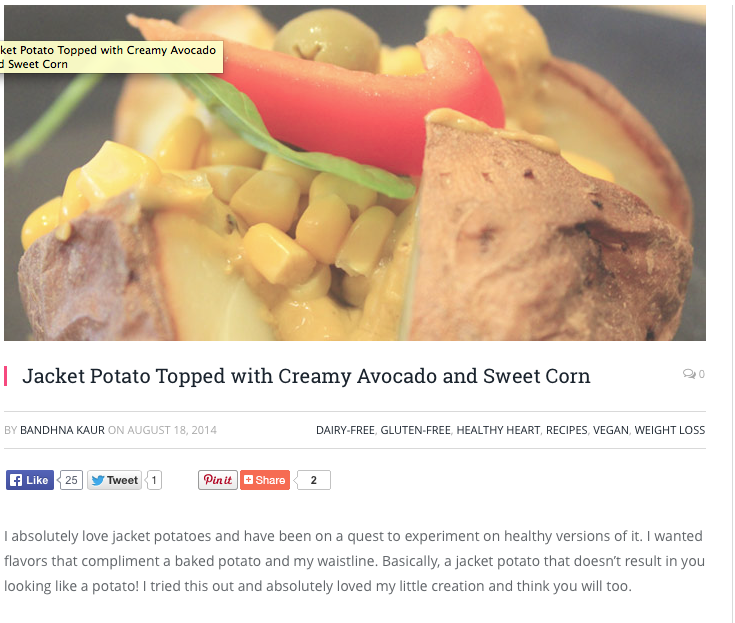 I tried a healthy version of Jacket Potato – just because I absolutely love it but can’t afford to look like a big fat potato as a result. This recipe is vegan and vegetarian friendly. Easy to make and delish to eat! I’ve been writing for Almonds and Raisins, a well-being site based in Thailand. My recipe can be found there. Here’s a screen shot of the page! 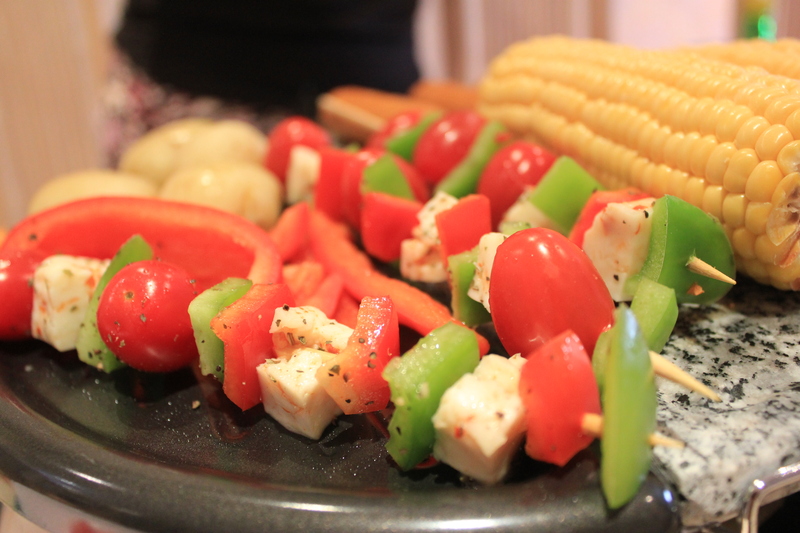 Here are pictures that prove that Vegetarians can have a great grill too! The layered grill.. Such an awesome feature! 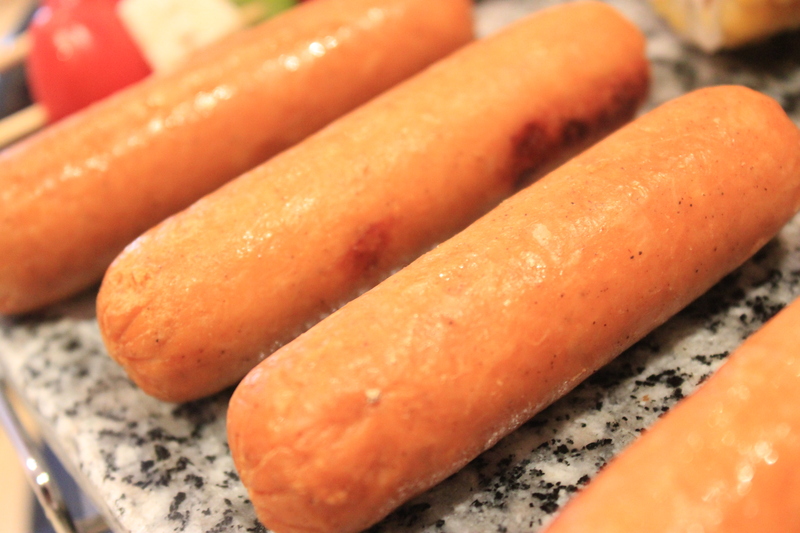 You can’t go wrong with Quorn Sausages. You seriously can’t. 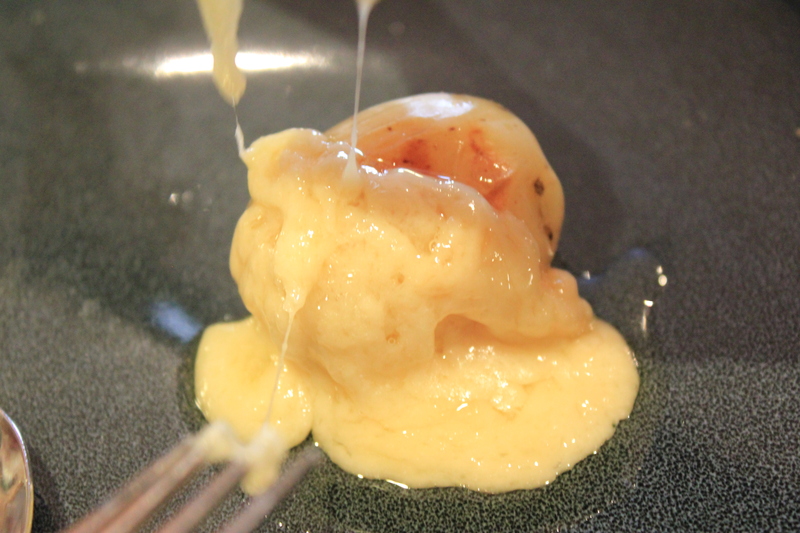 Cheese from heaven. It just couldn’t get any better. 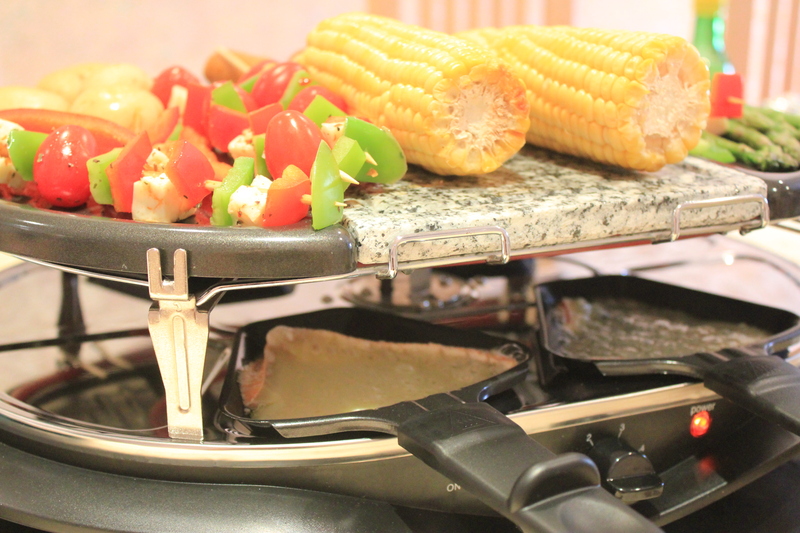 Here’s a breakdown of the VonShef Grill. What I liked/disliked etc! 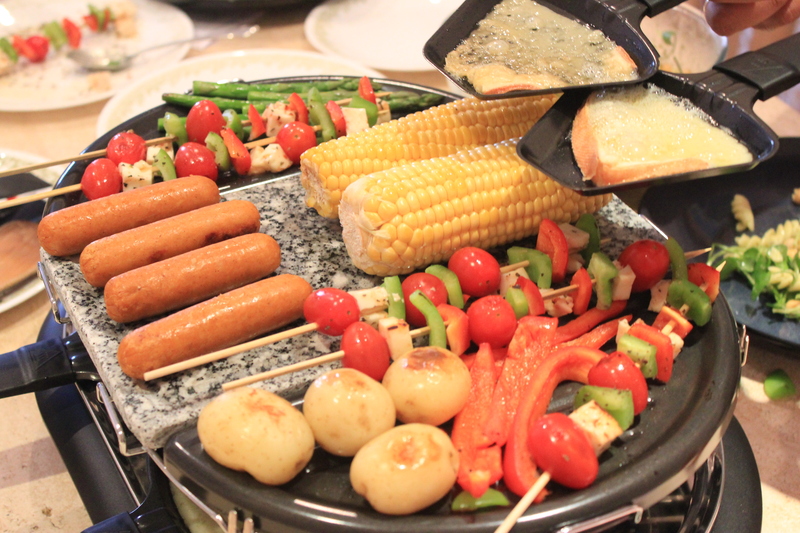 Grilled food is always yummy! TO BUY OR NOT TO BUY: TO BUY. Hi everyone! It’s been super hot in London, I actually feel I’m near the equator – like Singapore or something! You’d never expect London to have a real summer. It feels weird. I can’t exactly complain though just ’cause I am soaking the sun up! 🙂 I’ve been experimenting with drinks to combat the heat and make use of my blender. Haha! I’m on a Serious Summer Smoothie Mission. 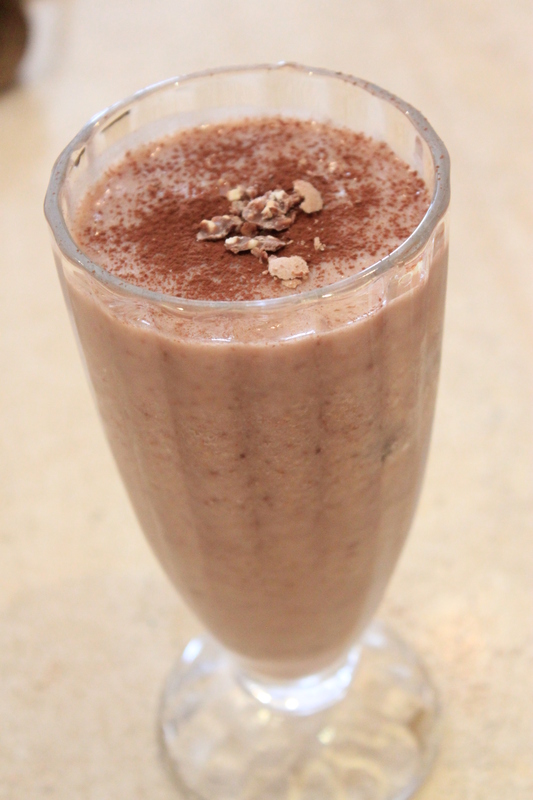 Blend frozen bananas with a bit of water (3 tbsp or so) and Ferrero Rochers. Add a bit of milk if you want. 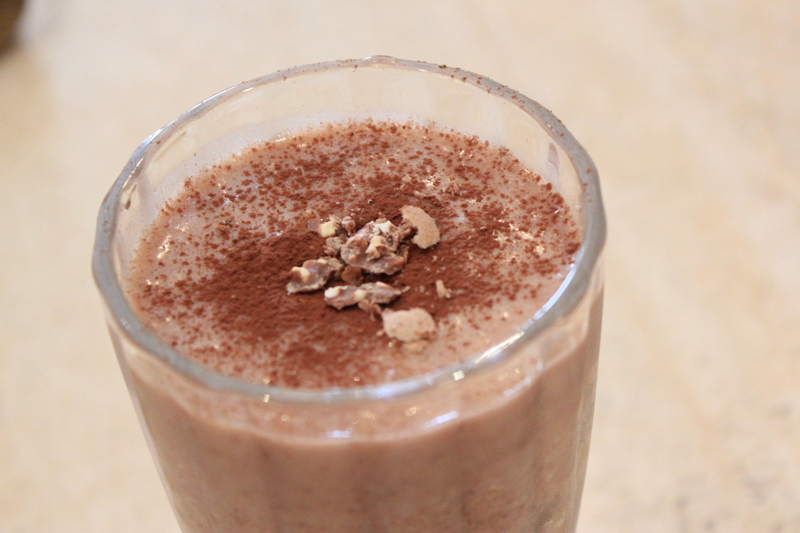 Sprinkle Chocolate powder and some crushed chocolate for garnishing. Today’s app – PAPRIKA. My favorite Recipe App! Hello there! Hope you all had a wonderful weekend. Weekends we mainly eat out and try different restaurants. Or we go to the same restaurant and end up ordering exactly the same thing to avoid disappointment! Sounds ironic but when you get to one of your favorite restaurants, you know exactly what would satisfy you and the risk of a new dish is almost frightening. 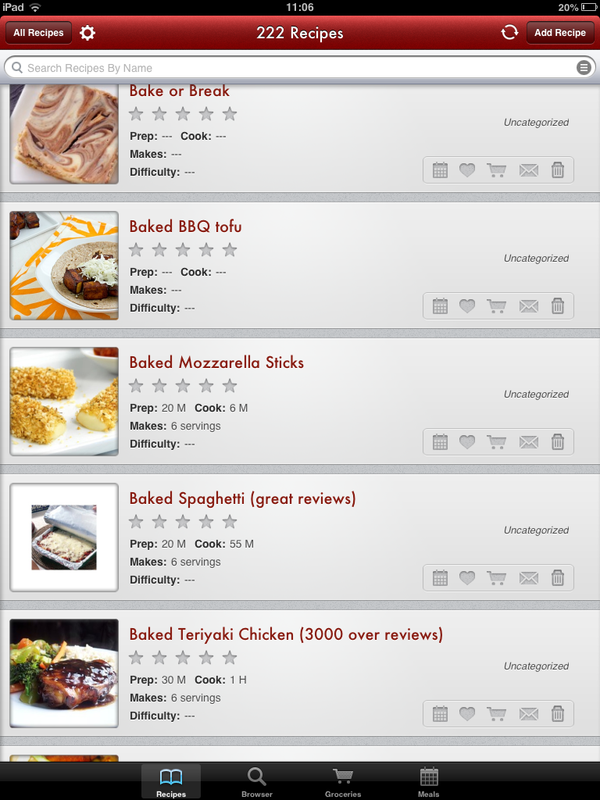 Firstly, the APP lets you search for recipes from all over the web through your internet browser. It also provides suggested supported sites which are very useful. I especially like to go to AllRecipes and BettyCrocker. However. there are times I like to go to other sites and Paprika gives me this flexibility. When you come upon a recipe that you would like to save – instead of a snapshot, it will save it in a uniform template into your recipe organizer. Prior to this app, I used to snapshot what I liked and had to go through my photo gallery frantically when I was about to try something new. That was pretty inefficient and time consuming. Now I am able to save, categorize and store in an effective manner. 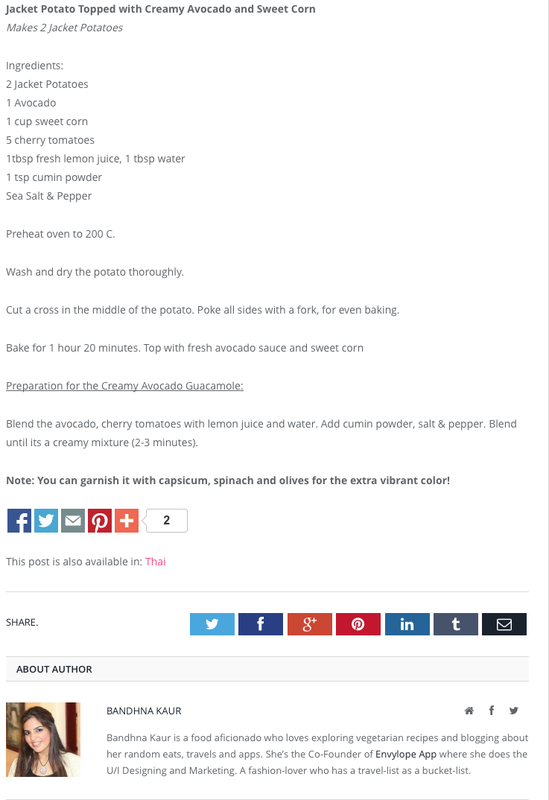 Sometimes, you come across a site that is not supported by this app as it cannot differentiate the text in the blog from the recipe. There is toolbar at the bottom of this app that overcomes this problem. You are able to manually copy the ingredients, method, title and store it in the template where you can then save. The picture above is a snapshot of my Paprika Recipes. This demonstrates the way in which my recipes are stored. 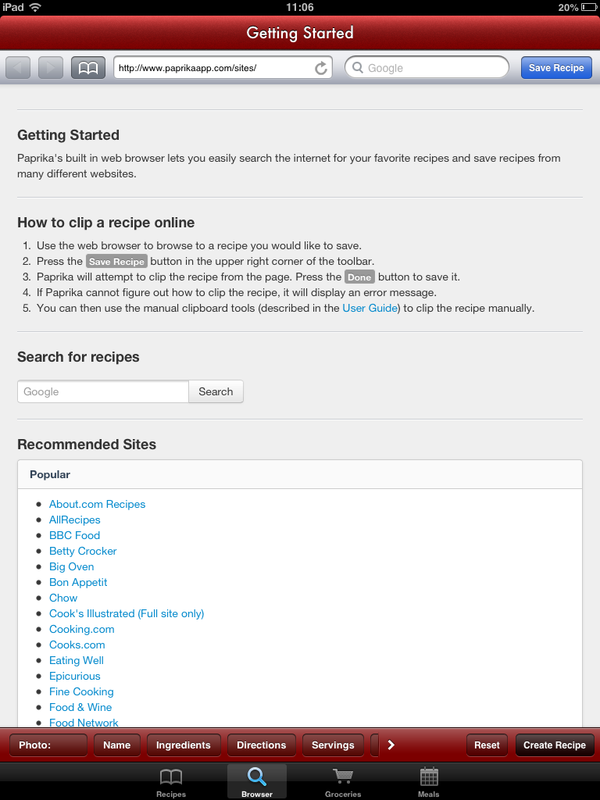 There is a search button on the top which allows the users to search their own saved recipes. Also, you are able to save your own recipes in the same format to add to this collection. Secondly, if technology isn’t quite your “thing”, it allows you to print recipes so you can have them in a recipe file if that’s how you are used to storing them. I have to admit, that I print some of my recipes instead of taking my iPad or iPhone in the kitchen with me all the time. 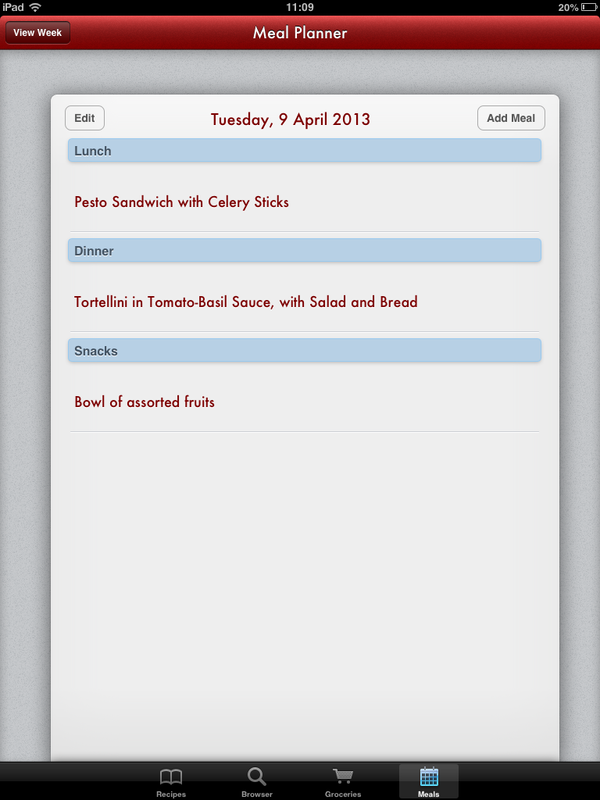 The last feature that this app is able to do is – plan meals. Frankly, I do not use this feature much as I rather plan my recipes weekly. Also – my husband sometimes doesn’t quite like sticking to the plan and has spontaneous food cravings. 🙂 Eitherway, the picture below shows how this feature can be used.